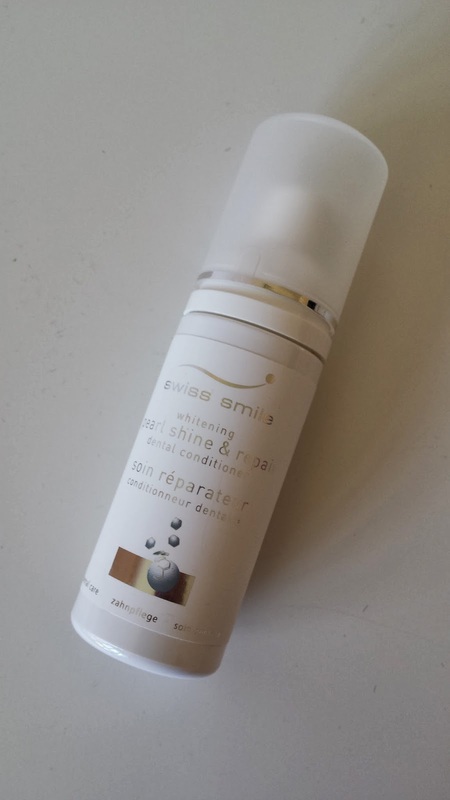 I've been testing this Whitening System from Swiss Smile for a while and I'm so happy with it that is now part of my daily routine. This set inclues a Whitening Toothpaste, a Whitening Conditioner and 2 Whitening Toothbrushes. 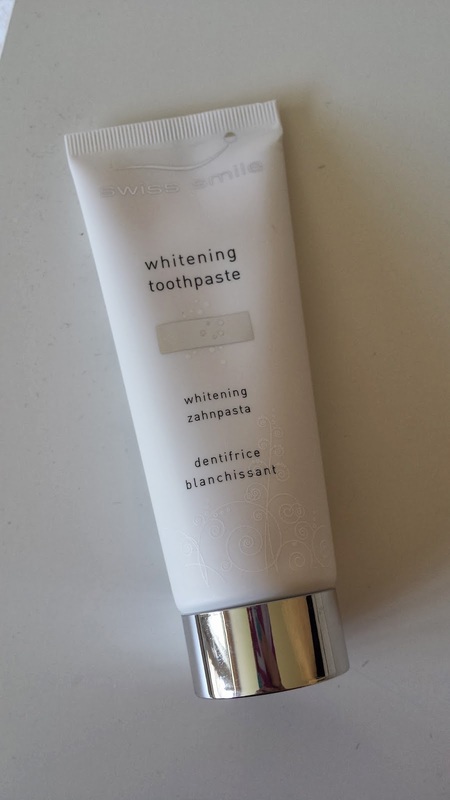 Whitening Toohtpaste: This toothpaste is so delicate that can be actually used on a daily basis. 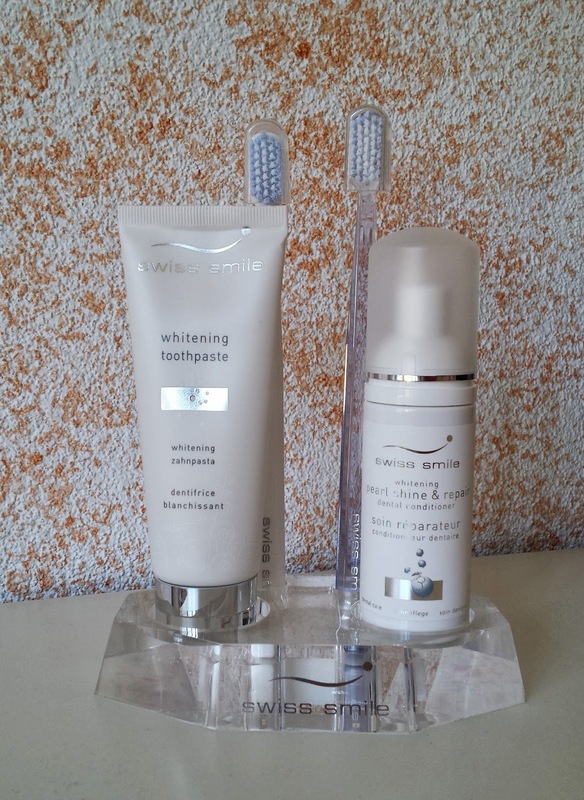 The active ingredients remove stains and restore the natural whiteness of our teeth. Unlike other whitening toothpastes on the market this one doesn't contain abrasives or bleach thereofore it doesn't damage the teeth. 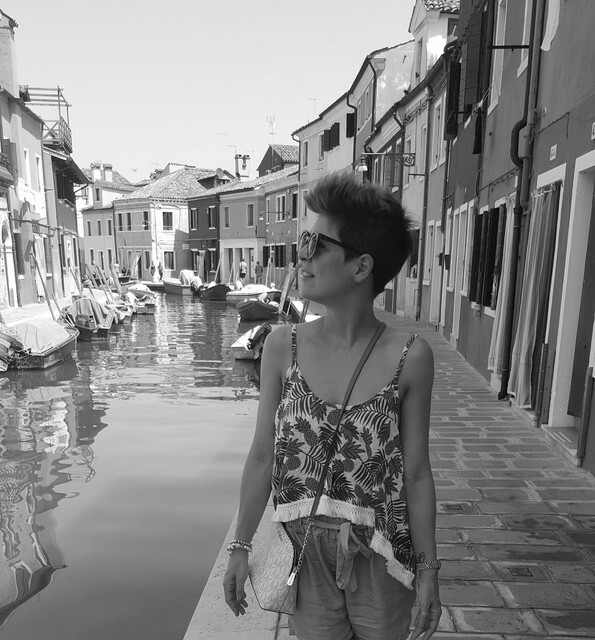 Whitening Conditioner: For a better result this is the next step. This conditioner is called Pearl Shine and Repair and it is a foam that literally contains extra-white nanocrystals that are extracted from the mother-of-pearl of sea shells. It is so fresh and delicate and you can either use it with your toothbrush or spray it directly in your mouth. Your teeth are immediately brighter and at the same time the tooth surface is repaired. 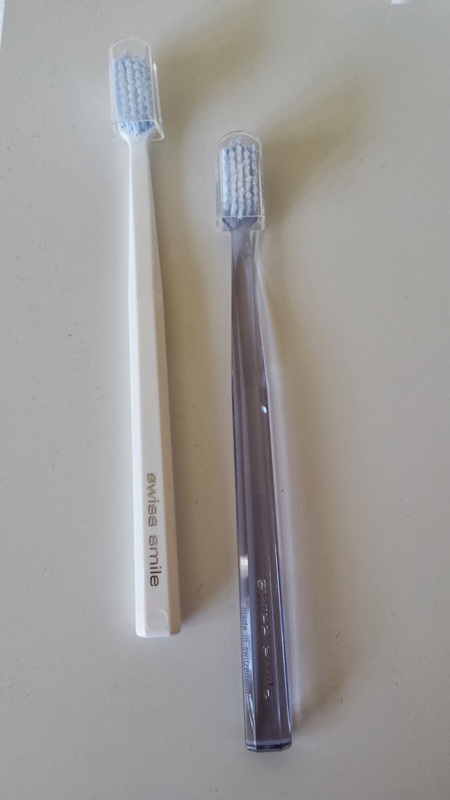 Whitening Toothbrushes: You can surely use the whitening products with your regular toothbrush, but these 2 where exactly conceived to enhance the final result. The particular combination of different types bristles cleans and polishes the surface of the teeth. As I said I'm pretty happy with this whitening System and although I'm not a smoker I can say that I've noticed a significant improvement since I've started using it. I would definitely recommend this kit to anyone looking for a good but gentle whitening system.